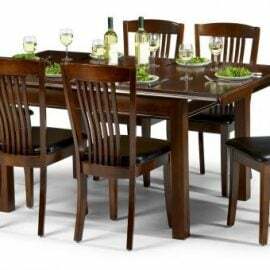 Dining Sets at Bigmickey.ie make it easy to furnish your dining area of choice. 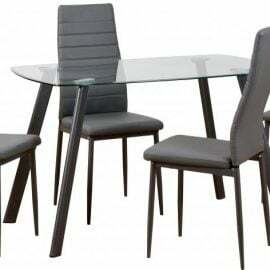 Dining Sets include matching sideboard, display units, tables & Chairs in a variety of different styles and colours. 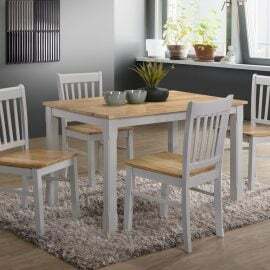 Whether you are in need of some extra storage space or you simply wish to update your interior décor, our collection of Dining Sets have something to suit everyone. From classic to contemporary, Bigmickey.ie has everything to match your preferred style and size to fit your space. 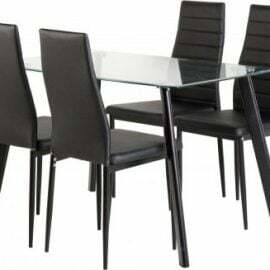 The Abba Dining Set is a sophisticated and contemporary combination of metal and glass. 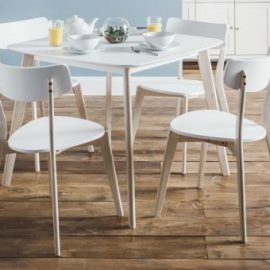 Accompanied by the luxurious PU, padded Abba Dining Chair, this set is a real statement piece that will be the talking point of your dinner party. 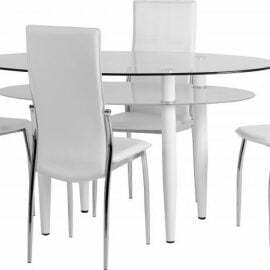 The Bernice Dining Set is available in Clear and Frosted Glass and is accompanied by 4 Bernice Dining chairs in White. The sleek design is a timeless classic and brings both style and comfort to any kitchen or dining area. 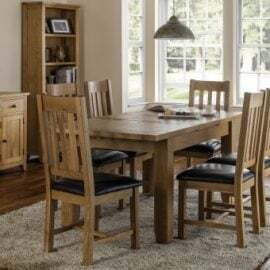 The Cambria Stowaway Dining Set in a Sonoma Oak Effect Veneer/Brown Linen Fleck is a real statement piece that will bring both style and comfort to any kitchen or dining area. 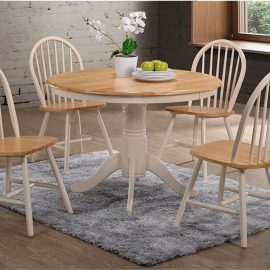 A traditional styled extending dining table in a classic mahogany finish. 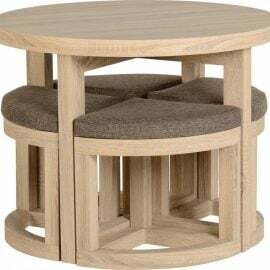 The Canterbury features a 40cm butterfly extension system that is stored within the table when not in use. 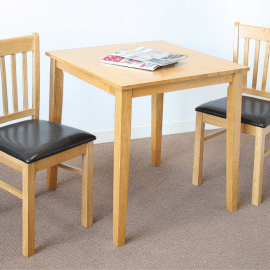 The matching Canterbury Dining Chairs feature a comfortable padded faux leather seatpad. A timeless retro design reflecting the style of the 1950’s. 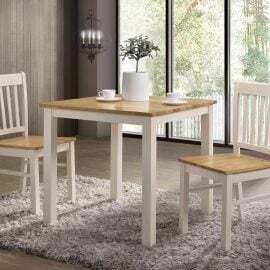 The Casa dining set has a durable white lacquered top with limed oak effect legs.